I apologize for my lack of posting and commenting. There have been some stressful things going on in my personal life and I haven't had time to dedicate to blogging. 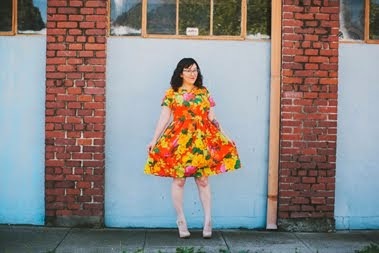 My Hazel dress is finished (some of you saw a sneak peak of it on Instagram this weekend), but I have not had time to take photos with an actual camera. I'm sorry to be a slacker! No worries! I agree with LLBB: we'll all be here once you get things back on track! Sorry to hear things have been stressful--blogging can totally wait!! (Sorry if my comment put pressure on you) Loved the sneak peak and can't wait to see the rest :) But more importantly, I hope those stressful things are resolved soon and that you are well. Take care Erin! Gosh, take care of yourself, lady! Don't worry about the bloggy stuff-- not a priority when you've got stuff going on! thinking of you and Luke this week! If you ever need anything please don't hesitate.. I hope that the stress in your life is resolved. Take good care of yourself.